The Fryingpan-Arkansas Project (Project) is a transmountain diversion which supplies southeastern Colorado with improved supplemental water supply for irrigation, municipal and industrial uses, hydroelectric power generation, and recreational opportunities. The Project also provides flood control for the area and is designed to maintain or improve fish and wildlife habitats. The Project acquired its name from the fact that it collects approximately 57,400 acre-feet of water each year from the Fryingpan River basin on the western slope of the Continental Divide and delivers it via the Arkansas River to the water-short eastern slope. 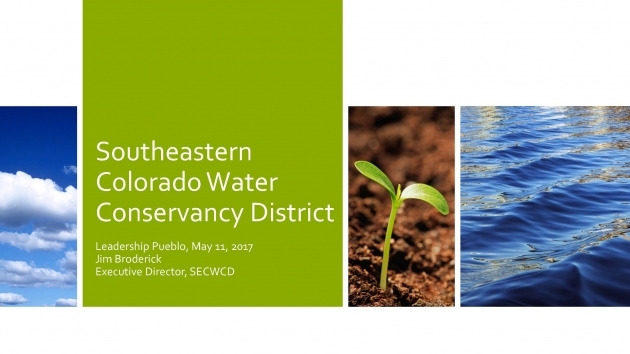 (719) 948-2400 to place your public information request and SECWCD staff will assist.